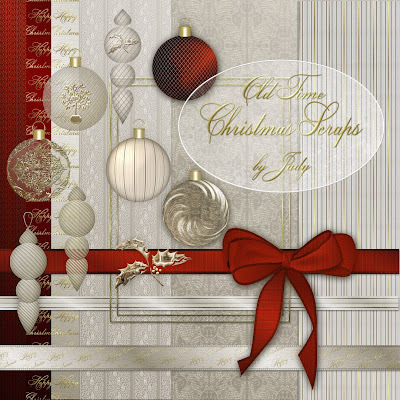 Judy at a Touch of Class: A Christmas Kit with a Heritage look. You will need to click on the image above to get a better idea of the fine detail in my new Christmas Kit. All 6 papers are 3600 X 3600 at 300 dpi and there are 14 other elements in proportion as above. Several of the papers and the ribbons may be suitable for other projects for your Scrapbook album. You can use these papers and elements in your creations for sale but they must not be redistributed as they are. Once payment is made, I will email download details but please allow a little time to account for world time differences . Please also ensure that you provide a valid email address.